Story: Bender worked as an investigator and was quite good at it. He was obsessed with getting information and putting it together which was what made him good at his job. One day in 1992 he stumbled on some information on Solar and started to investigate out of curiousity. He tracked down Phil Seleski and approached him begging Seleski to shown him his powers and anything he might know of the universe. 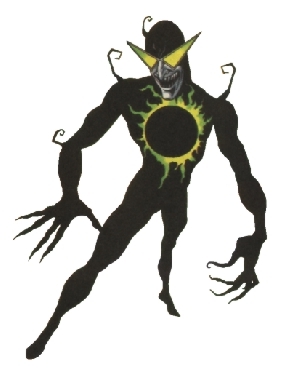 Like Erica Pierce, the trip outside reality gave him powers to control energy, but it also made him insane making him do . Seleski stopped him and took away his powers [2,3]. After having lost his powers to Solar, Bender went to Master Darque, who magically recreated Benders powers . The powers made Bender stronger than before but it also made him loose his grip on reality even more. Skills & abilities: Benders body is made of "forces of the darque power", a sort of magical energy. The energy body is mallable, making Bender able to assume any desired form.